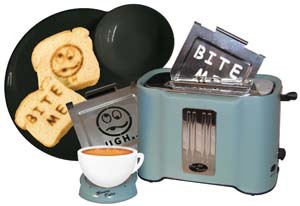 We've all got foodies on our gift list and many of them can't seem to ever have enough kitchen gadgets. Delight your favorite home chef with these must-get cooking gifts. 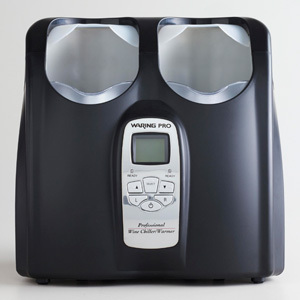 For the foodie who loves entertaining, the Waring Pro Double Wine Chiller and Warmer will hold two wine bottles at perfect individual temperatures. This gadget is made of brushed stainless steel and plastic with a backlit LCD screen and features a smart computer-based control system and preset temperatures for 33 different varieties of wine. It will keep your white wine cold while ensuring your red wine is served at the ideal warmer temperature. For the busy mom or professional, Twiztt by Joan Lunden is the perfect cookware line that allows moms to achieve healthy and gourmet meals with ease. This three-piece set comes with a 5-quart casserole, stainless steel lid, and melamine bowl. The casserole is made with stainless steel, lined with Thermolon, a ceramic nonstick eco-friendly coating, and a riveted stay-cool handle. It also boasts an extra-thick base for even heat distribution and is oven-safe up to 850 degrees F. The perforated lid has a patented lid-locking system for safe and easy straining and is oven-safe up to 356 degrees F. The colorful melamine bowl provides stove-to-table presentation, keeps food warm, functions as a safe pot holder, and doubles as a serving and mixing bowl. 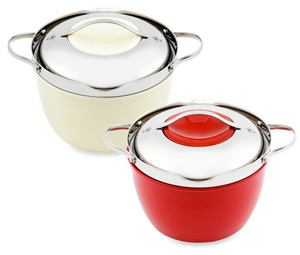 Capacity markings both in the cookware piece and in the keep-warm bowl allow for easy measuring and mixing. Let your favorite foodie pair her cutlery skills with a cutting board that doesn't slide all over the counter. 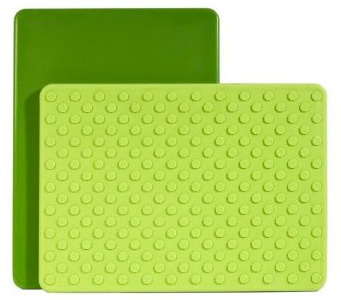 The Architec Gripper Cutting Board is made of the highest quality polypropylene cutting surface that is thermally bonded to a soft bed of gripping octagons which provide Architec's famous non-slip grip. As a bonus, the cutting board surface won't dull knife blades. 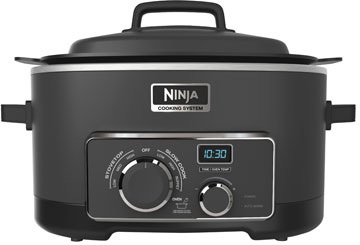 The Ninja Cooking System is a revolutionary kitchen gadget that features Triple Fusion Heat technology that combines heat contact from the bottom and sides of the unit as well as super-heated steam for even cooking and faster cooking times. With this space- and time-saving tool, you can layer main courses and side dishes to make complete meals in one pot. Whether whipping up warm soups or iced-cold smoothies, the Krups Immersion Blender is powerful enough to blend, chop and puree to meet most of your meal prep needs. Its durable stainless steel shaft removes with a click for easy storage, while six variable speeds are controlled on the handle dial. The easy-to-read LCD handle display shows selected speed and is surrounded by a Soft Grip Ergonomic Handle with one-touch power. The hand-held blender also comes with a measuring beaker and wall mount, which lets you store this gadget out of the way so you have more space on your kitchen counter and cabinets. Two-in-one kitchen gadgets are not only convenient, they save time and space. 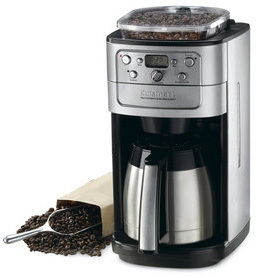 This Cusinart coffeemaker doesn't just brew coffee, it also grinds the beans with a built-in burr grinder that turns every cup into the perfect coffee experience. The strength selector and the grind control functions fine-tune intensity and volume, and the thermal carafe seals in heat and freshness so the last cup is as good as the first. The coffeemaker also comes with a gold-tone commercial-style permanent filter, programmable brew timer, automatic shut-off, and the option of brewing coffee without using the grinder. Even if your foodie has a knife block of oft-used knives on her counter, she'll appreciate a Santoku knife with celeb-chef caliber quality. Cat Cora's knives have been developed for a professional chef with key characteristics in mind. To prevent accumulation of bacteria during food preparation, the knife has no seam transition between bolster and handle. The ergonomic handle is perfectly balanced and enables safe tireless use while the high carbon content in the stainless steel blade makes the knives resistant to corrosion. This will quickly become her go-to knife in the kitchen. Give your favorite foodie a cookbook to put her kitchen gadgets to work. 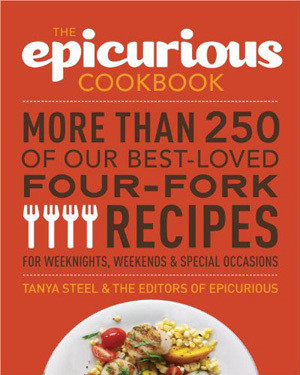 The Epicurious Cookbook is an impeccably curated recipe collection from the popular food website Epicurious.com. Featuring 250 of the site's "4-fork" recipes, this cookbook is organized seasonally and by meal type, offering everything from 30-minute meals and comfort food favorites to mains, sides, desserts and plenty of entertaining ideas. Recipes include Quick Paella, Wild Rice with Pecans, Beef Brisket with Merlot and Prunes, Lobster Pasta, Apple Tart with Caramel Sauce and more. 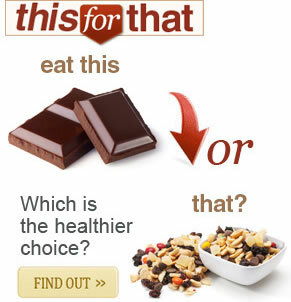 Michele Borboa, MS is a contributing editor for SheKnows.com, specializing in health, fitness, and lifestyle. She is a food columnist for SheKnows and ChefMom.com and a blogger for Miso Vegan. Michele is a health and wellness expert, personal chef, cookbook author, and freelance writer, based in Bozeman, Montana. 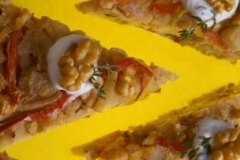 She is also the author of the tasty, time-saving cookbook Make-Ahead Meals Made Healthy (Fair Winds Press, July 2011). You can reach her at michele.borboa@sheknows.com or follow her at http://twitter.com/micheleeborboa.